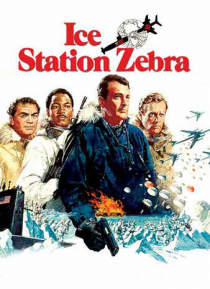 Rock Hudson stars in this Cold War thriller based on Alister MacLean's bestseller as an American nuclear submarine captain in a deadly race against the Soviets to find a downed satellite beneath the polar ice cap. All-star cast includes Ernest Borgnine, Patrick McGoohan, and football legend Jim Brown. Directed by John Sturges.